How do I create my own burn-in scripts Legacy Mode (USB Version)? 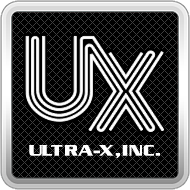 – Ultra-X, Inc.
How do I create my own burn-in scripts Legacy Mode (USB Version)? The Burn-In function allows you to run QuickTech Premium tests automatically to accommodate more lengthy testing sessions where you want to Burn-In or Age new or repaired components or new system builds. Using the Burn-In mode also saves you time in executing multiple tests since you do not have to access individual menus and select each particular test you want to run. Burn-In testing can also be used to isolate random or intermittent failures which may only surface during extended testing sessions. Select Burn-In and press Enter. Note: The first items to add in a Burn-In script should be the Display, Test Activity, and Error Handling options. Script - This will display the Script and pass/fail indicator of each test. This will not notify the user of the status during each test. This is the most basic mode. Test - This shows the details of each test. It is similar to running the tests in Diagnostic Mode. As the Script moves from test to test, the test name is displayed for one second before the test details are displayed. Select Activity and press Enter. Wind Mill - Shows a spinning cursor next to each test as it is running. This informs you which test is in progress and that the test has not hung up. It will also display the pass/fail results. If the cursor bar is green, the test passed. If it is red, the test failed. Keyboard LED - It will light the Num Lock, Caps Lock and Scroll Lock LED’s in sequence to let you know that the test is running. If the LED’s hang or fail to light, it is an indication that the software has hung or it is not running. (Optional) Select on Error and press Enter. Select Test and press Enter. Repeat until you have selected all the desired tests. How do I create my own burn-in scripts (UEFI PRO)?